Next story in Human spaceflight Is NASA's new space plan really that radical? Endeavour's crew gets a photo opportunity at the Kennedy Space Center launch pad. 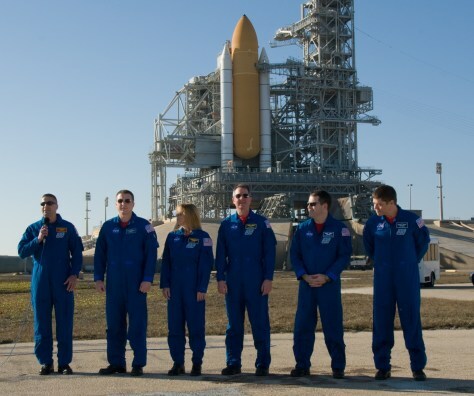 From left are commander George Zamka; pilot Terry Virts; and mission specialists Kathryn Hire, Stephen Robinson, Nicholas Patrick and Robert Behnken.